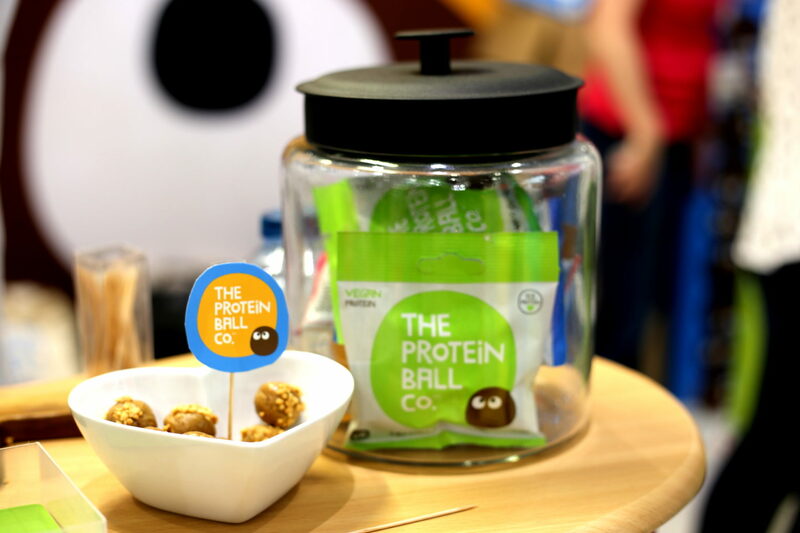 These guys make delicious balls packed with natural protein. Some of the protein balls that are around are big and chunky but these are small and bitesize with 6 to a packet making the perfect snack. What’s better is that they are made with protein from natural protein sources – whey, egg white and organic pea. The peanut butter flavoured ones I tried were yummy – I can imagine having a big box of these in my cupboard to reach for when I want a tasty snack without the guilt. They are currently stocked in Planet Organic, Camden Food Co and Holland & Barrett amongst other places. The lovely lot here make a range of products that are sustainably farmed, ethically traded and with packaging that is 100% recyclable. 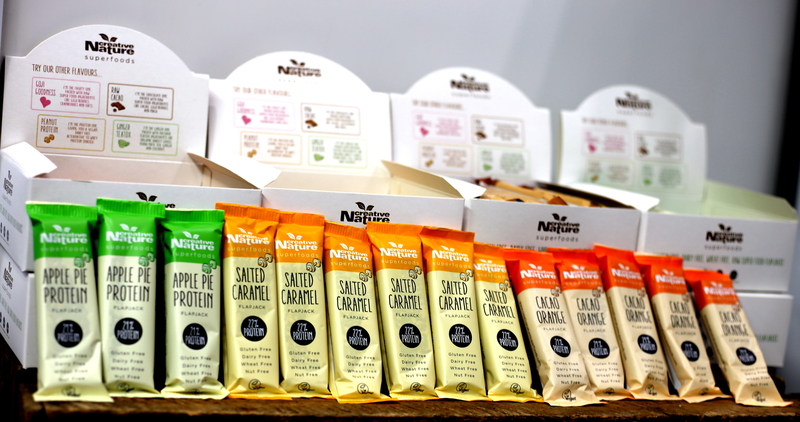 They have a range of delicious snack bars and I have to say the Salted Caramel and Apple Pie Protein are incredible – so tasty that it’s difficult to believe that they are healthy (but they are – I’ve checked the ingredients). They are 21/22% protein and are gluten, dairy, wheat and nut free. Once again a great option for a delicious yet healthy snack. They are stocked in loads of places including Asda, Ocado and WH Smiths. Crisps made of fruit!? 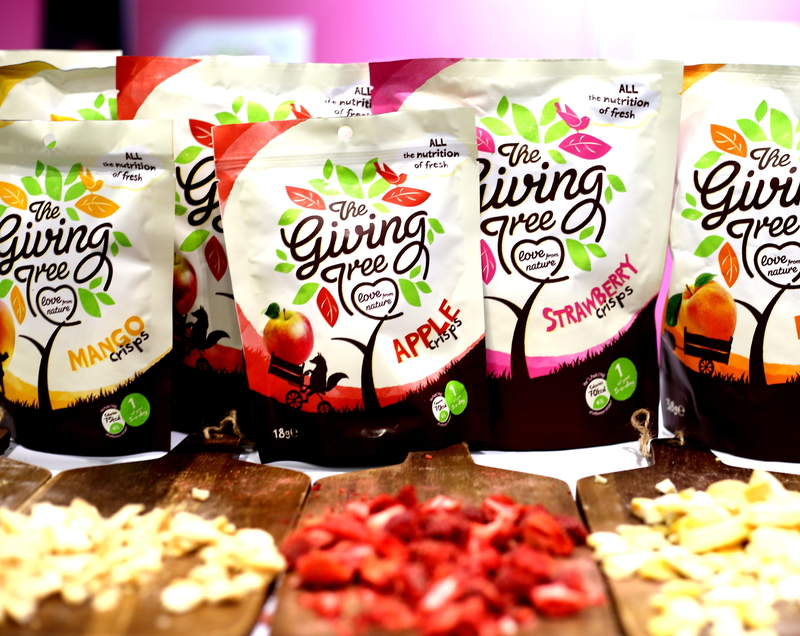 The fab fellas and females at The Giving Tree freeze dry fruit to perfection to make them the consistency of crisps whilst retaining a delicious fruity flavour. They come in multiple flavours including mango, apple, strawberry and peach. They really are delicious and for somebody who’s massively addicted to Haribo like me these will make a much healthier alternative than reaching for the confectionary. They’re even one of your five a day! They are stocked in Holland & Barrett and Planet Organic amongst other places. I didn’t get anything for featuring these guys on here (apart from a sample at the show) – I just wanted to give them a shout out because I genuinely thought they were great! Hit me up on twitter @sanjaysoodsmith or insta @sanjaysoodsmith (original I know…) and let me know if you have any other suggestions.